There will even be some songs from the show in the bar afterwards ‘to shake your tailfeathers to’. What’s more, this is the fifth in the Birds’ Eye View’s Reclaim The Frame series. Romance, rage and revenge, says the blurb for this flick directed by Tinge Krishnan. It’s been adapted from ChÃ© Walker’s hit stage play and retains Arthur Darvill’s original songs. 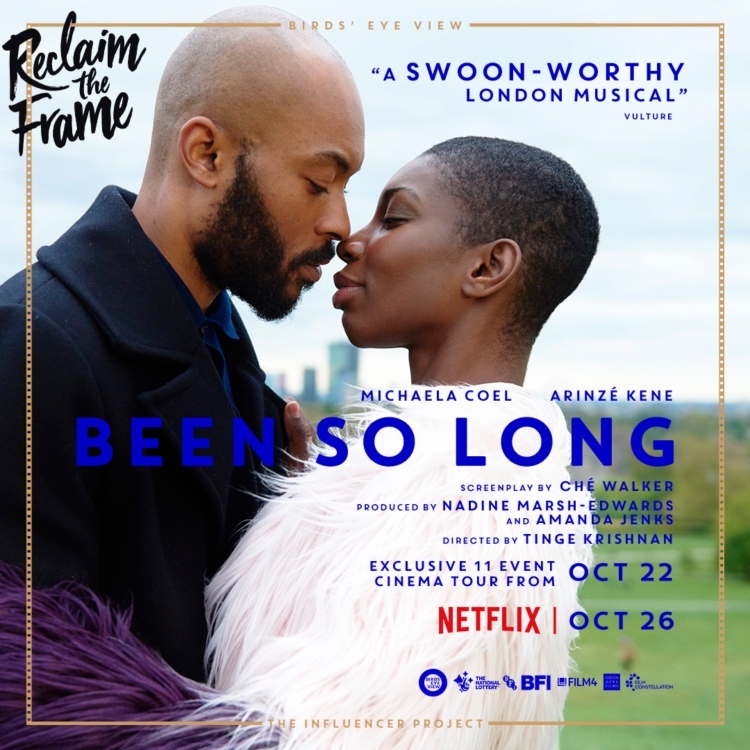 Set in Camden, the story follows Simone (Michaela Coel), a dedicated single mother who, on a rare night on the town is charmed by a handsome yet troubled stranger, Raymond (ArinzÃ© Kene), igniting old and new feelings. Reclaim the Frame: Been So Long plus Director Q&A takes place at Plymouth Arts Centre on Wednesday 7 November 2018 at 7pm. Book now.